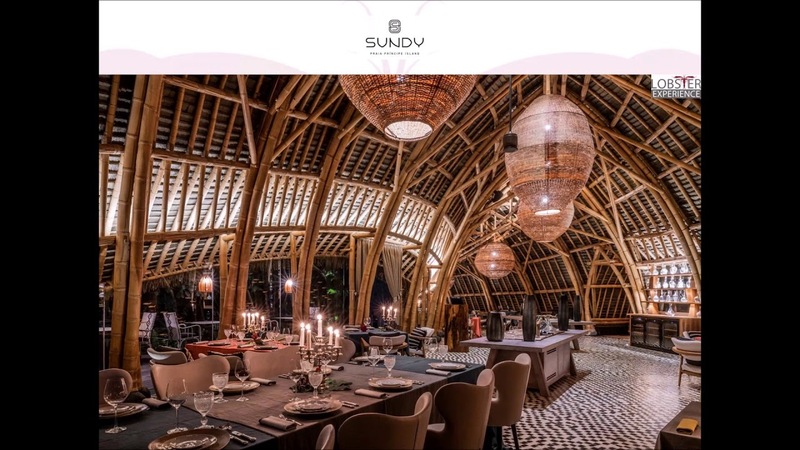 Don't miss any more information - register for our newsletter Subscribe now! Live from every workplace - our webinars take place regularly and are very popular with travel agents. Here they get to know great products and exciting topics that give them new inspiration. The webinars also promote active exchange among each other. Below you will find a selection of the latest Lobster Academy webinars. Europa ist bunt, schillernd und verbindet. Die meisten Urlaubsziele sind schnell zu erreichen und lassen uns mit ihren landestypischen Geschichten, kulinarischen Köstlichkeiten, wunderschönen Stränden und kleinen Gassen in grenzenlose Freiheit eintauchen. Neues Jahr, neues Glück und neue Reiseziele! Die Weihnachtsleckereien haben nun erst mal Pause und machen Platz für einen Besuch in Chile unter dem schönsten Sternenhimmel der Welt, für ein Tropenparadies auf Phuket, die Malediven und für den Paje Beach auf Sansibar. When it gets cold and dark outside, then it is time for cinnamon stars, Christmas stollen and the first snow. But no matter if your customers prefer the first snowflakes or warm rays of sunshine at this time of year, we have the right place for everyone to unpack their presents and also great ideas for spring 2019. This webinar is full of premieres! Every year our lobsters fly around the globe, looking for new partners and the most beautiful hotels. 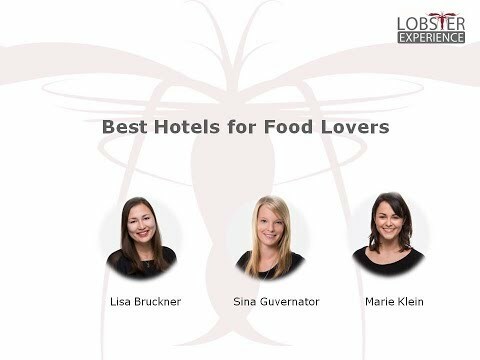 Our lobsters Catharina Adelberg and Alexandra Gäth introduce you to exotic hotels around the globe - including the latest partner of Lobster Experience. Take a seat, fasten your seat belts and fly with us to Africa, Thailand and Indonesia. Wer kennt es nicht, das Gefühl, wenn sich die ersten Sonnenstrahlen sanft auf das Gesicht legen und die Gedanken um die nächste Urlaubsdestination kreisen? Landestypische Speisen, einen Strand zum Dahinschmelzen in Kombination mit einer schönen Stadt, in der es vieles zu sehen gibt. Der Sommer ist da! 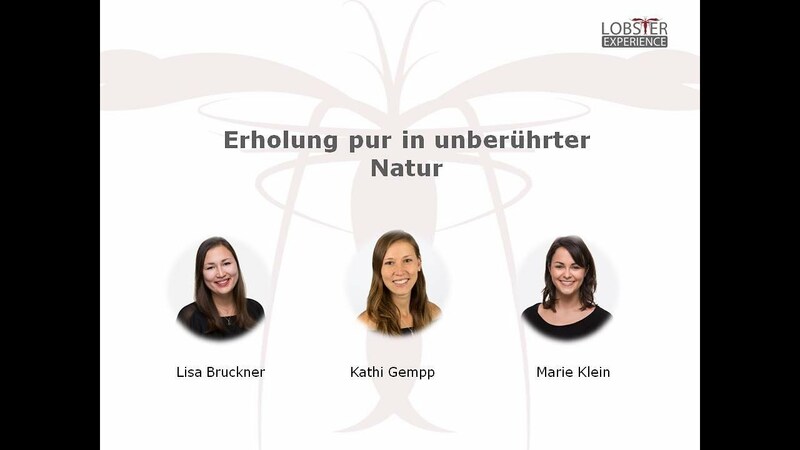 Unsere Lobster Alexandra Paulussen und Catharina Adelberg zeigen Ihnen in diesem Webinar daher die schönsten Hotels für den perfekten Sommerurlaub. Schauen Sie doch mal rein. Ever had a webinar with Kate Fenton? She is Premium Trade Manager Europe of Tourism New Zealand and thus an absolute New Zealand specialist. Let her show you New Zealand's most luxurious hot spots and lodges and be enchanted by the beauty of the country. The other end of the world has never been so close. Pack up your loved ones and take advantage of the Easter holidays for a well-deserved break with your family. 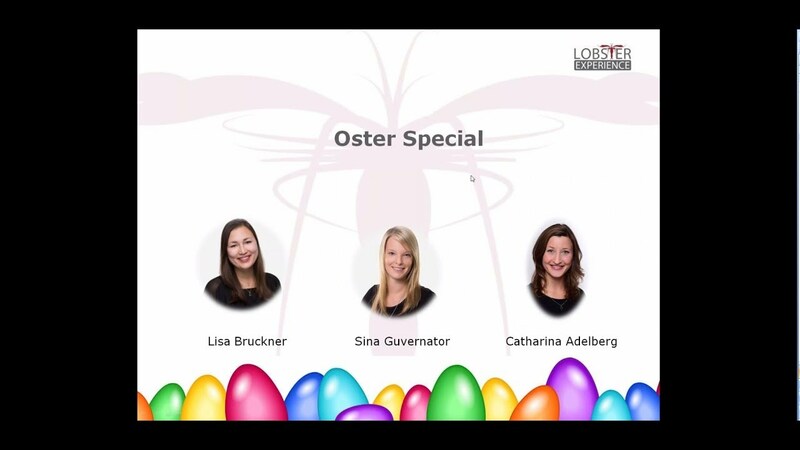 In our webinar we at Lobster Experience prove to you that Easter can be more than Easter eggs and chocolate bunnies are looking for! Easter has never been so luxurious! Es war einmal… und ist immer noch und das schöner wie eh und je! 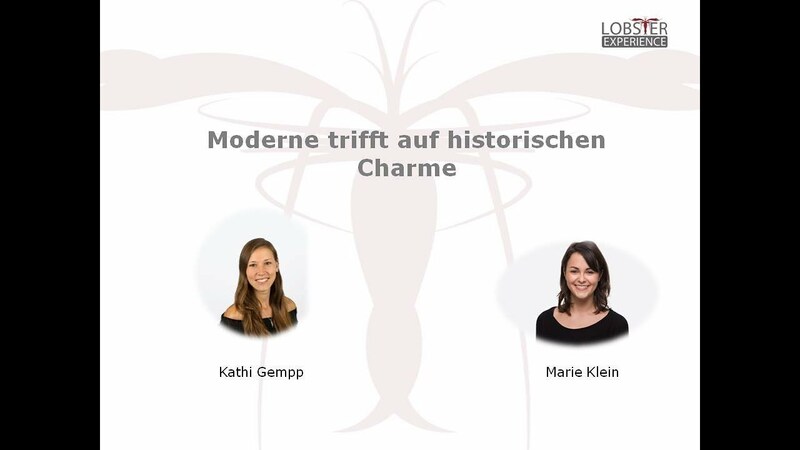 Seien Sie dabei und lassen Sie sich von Marie und Kathi mit modernem historischem Charme verzaubern. Adieu Sommer, hallo kalte Jahreszeit. 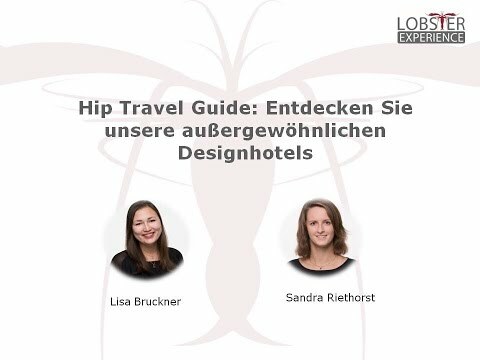 Wir sorgen für warme Füße - seien Sie dabei, wenn Sina, Sandra & ich Ihnen unsere sonnigsten Hotels präsentieren. Stressed by everyday life and ready for a little break in untouched nature? 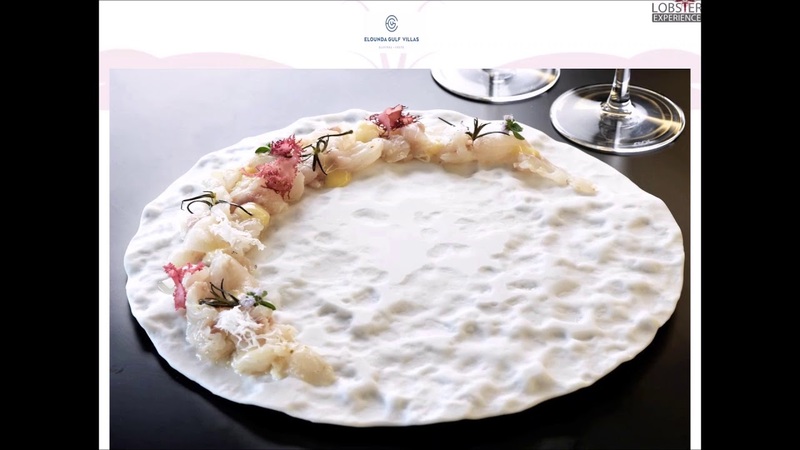 Then don't miss the information of our lobsters about our most beautiful hotels, which guarantee pure relaxation and a feeling like newly born! Let our lobsters inform you about our new Lobster Collection Hotels on Mallorca - real insider tips! Ready for the island? 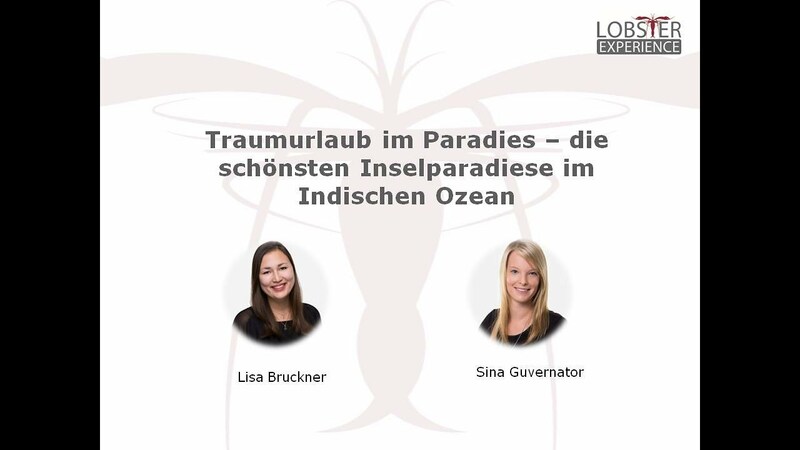 Then let our lobsters Lisa and Sina inform you about our most beautiful island paradises in the Indian Ocean. 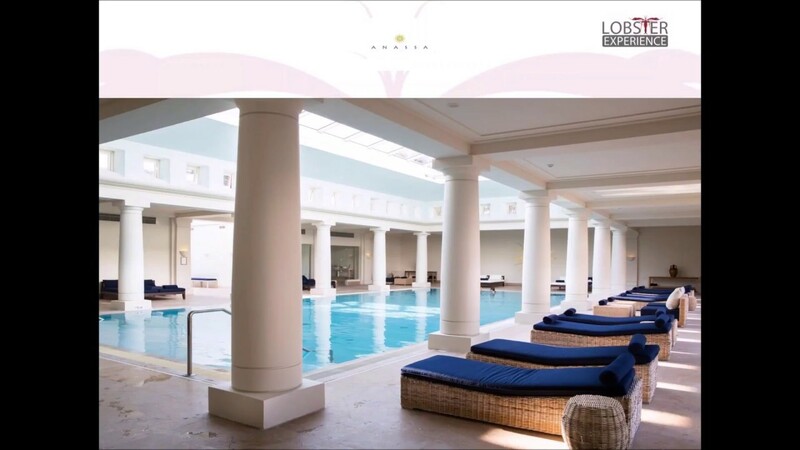 Follow Lisa and Sandra on a journey to the most beautiful design and boutique hotels of the Lobster Collection. 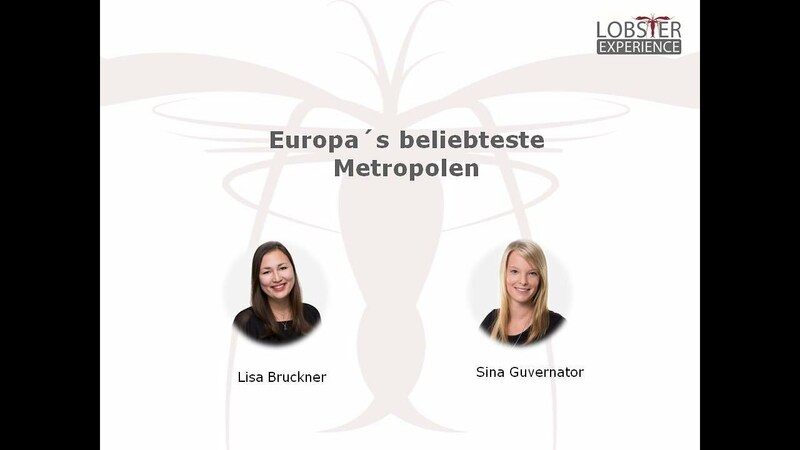 Let our lobsters Sina and Lisa take you on a journey through Europe's most popular metropolises and learn all about our city highlights for demanding globetrotters. 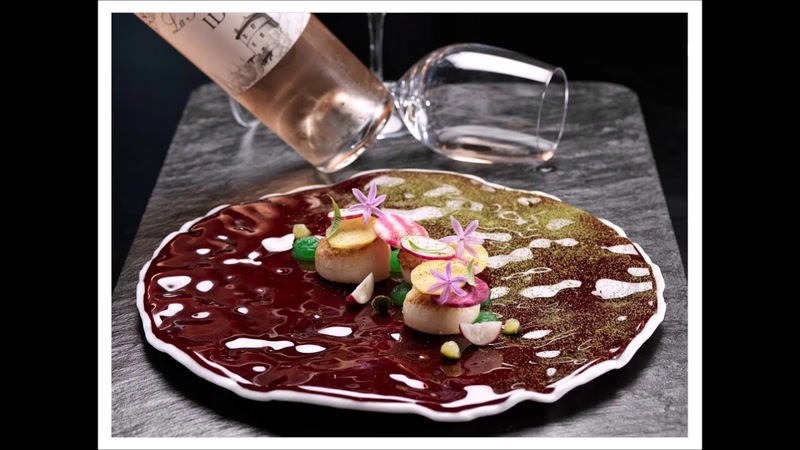 You want to know which are the best hotels for gourmets? 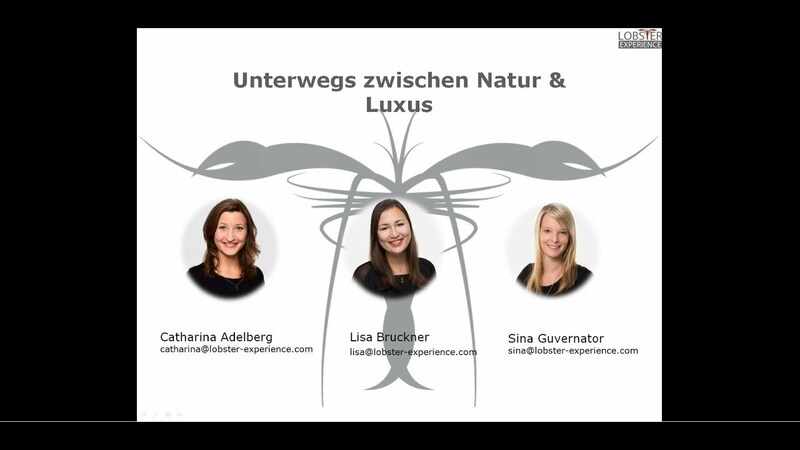 Then let Lisa, Marie and Sina take you on a culinary journey at our webinar.